1) Are you still offering it at $215 shipped? 2) what is the weight of the 70mm compared to the Berk Version? Is O2 sensor bung in same location as OEM bung? I want to add OEM heat shield for OEM look and heat shield function without cutting OEM shield. its near but not in the same exact location. My review of the EVS High Flow Cat 63.5mm. - Completely stainless steel, even the flanges. - Costs the same or less than competitors, but looks like a better quality part. 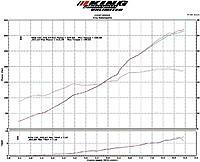 - 7.35hp and 4.83ft.lb torque gain over a Random Technology high flow cat 63.5mm. - Comes with a one year warranty. - Made in Taiwan. I would prefer paying extra for made in Japan or USA. - Vortech Supercharger V2 with stock pulley and timing controller. 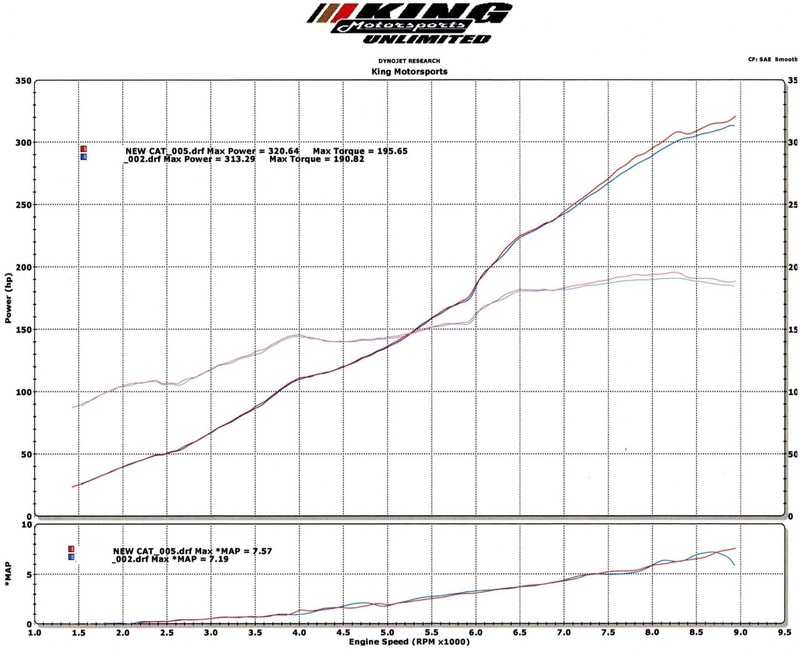 Dyno results are Random Technology High Flow Catalytic Converter 63.5mm(Blue) VS EVS Tuning High Flow Catalytic Converter 63.5(Red). Last edited by jackmugen02; 11-08-2016 at 09:02 AM. So is the cell fix actually working on MY06+ models?